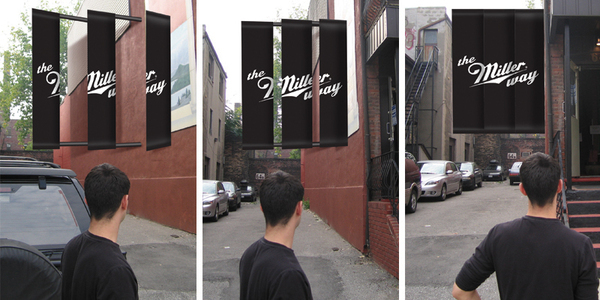 Outdoor advertising concept for Miller Genuine Draft. This is a concept that was created exclusively for Miller Genuine Draft. The brand's position was about finding a different way to express yourself. I designed this outdoor advertising to be visible from a specific vantage point making it stand out from the rest.